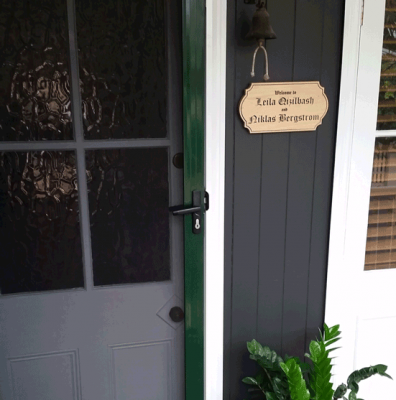 Design your house sign or plaque today to add character to your property. Every property has a unique story. Whether your house has a historical name or you have named it since you moved in, we design beautiful house signs that will add to its legacy. Each sign is personalised to your tastes to match the unique character of your home. 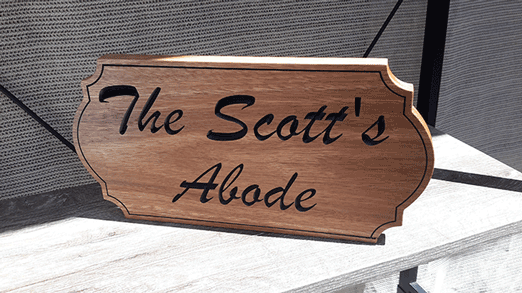 With hundreds of different design choices you can select from a range of high quality timbers, custom engraved letters, numbers or images with a variety of shapes, colours and finishes. We also custom cut wooden letters and house numbers. 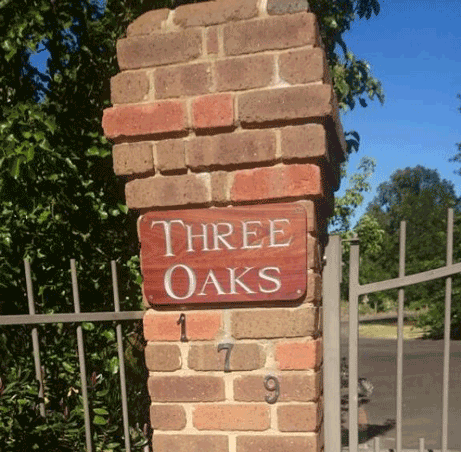 This means that you can also choose floating letters and numbers or raised letters and numbers as part of your sign or house name plaque instead of engraving. 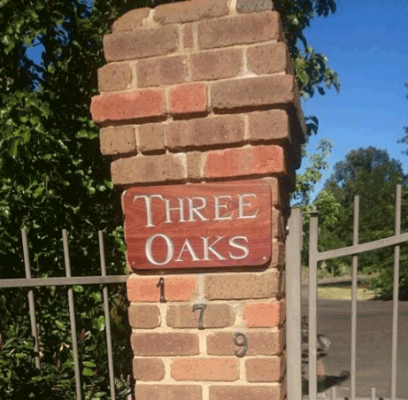 These options can give your property sign a bold and strong look which will be hard to miss by passers-by. We can cut any shape or style of wooden property numbers and letters for your house name signs. Select a size, font, timber and finish and we will do the rest. In our Melbourne workshop we have crafted thousands of home signs and numbers over the past 6 years. Our experience as signmakers and craftsmen has taught us a lot and while we are not going to tell you what options to choose, we have a pretty good idea of what option work best for different signs. So if you are unsure about any of the wide range of custom options available, don’t hesitate to get in touch. We are happy to discuss what will work best for your personalised house sign. We hope you are as proud of your property as we are of our signage. We are interested to hear the story of your property, it’s history and how its name came about. 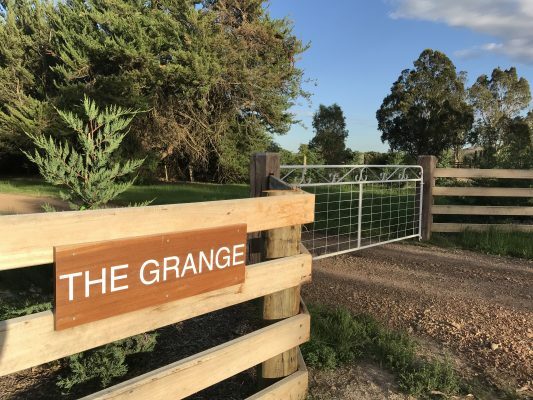 Add in a bit of information about where it will be displayed and from there we can design a sign that suits your property down to a T.
Property signs aside we also love working on those signs that lighten the mood with a bit of humour. Home welcome signs, man cave signs, sayings, phrases, quotes are a welcome addition to Australian homes. We have had interesting enquiries for cottage signs, outhouse signs, shack signs and the like. 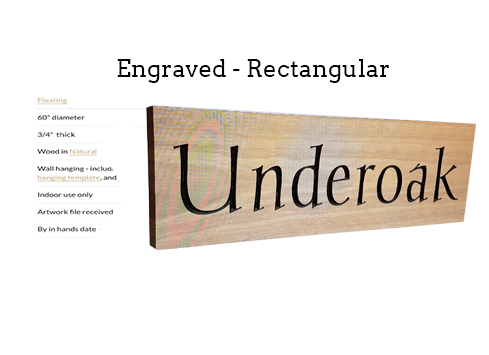 So even if you don’t need a house sign, there are plenty of places where an engraved house sign can add charm. As bespoke signmakers we can craft almost any type of timber sign. We also try to make it as easy as possible for customers to design and order their property signs online with our custom design form. As such we only show the most common options that are requested to keep it simple. However, this is your sign! If you don’t see the options you are after then let us know. When every project is unique, then almost nothing is out of the question. 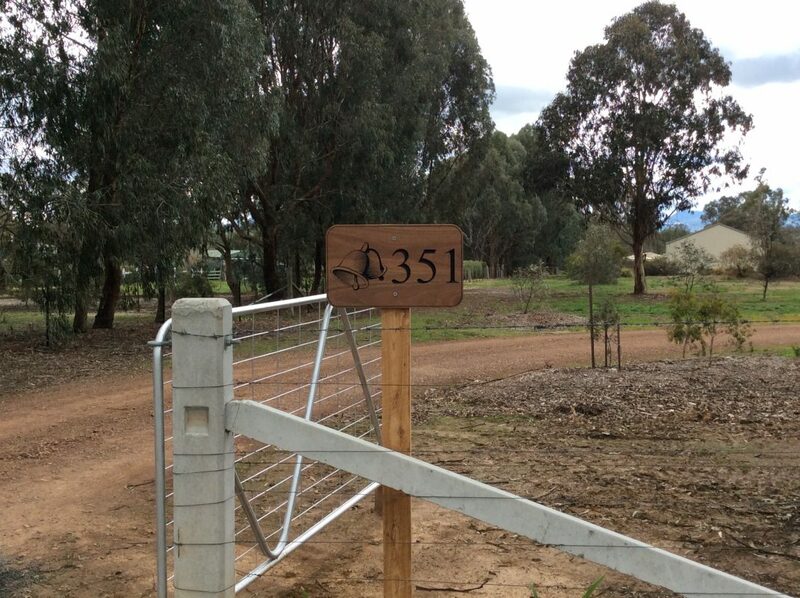 We custom cut timber letters and house numbers that can be easily attached to your house, fence or letterbox. We can also use cut letters and numbers with a typical sign backing to achieve a raised look for you house name plaque. Using a variety of engraving techniques, we can offer you some great choices to achieve the right look and feel for your sign. We use laser engraving to achieve a clean and sharp look. 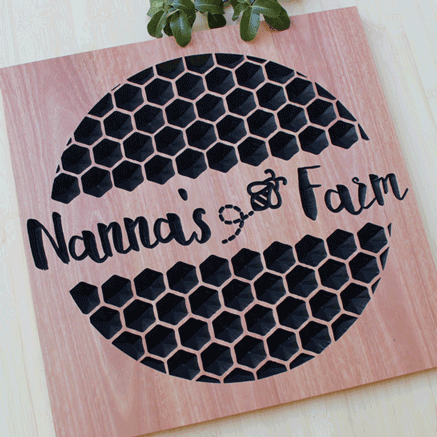 We can also use our CNC machine for deeper engraving for rustic house signs. Rounded or rectangular signs are the most popular choice for house and property signs. However, we can cut our signs and plaques into almost any shape you require. Feel free to send through an image of your desired sign shape using the design form and we will include it in our free sign mock up. 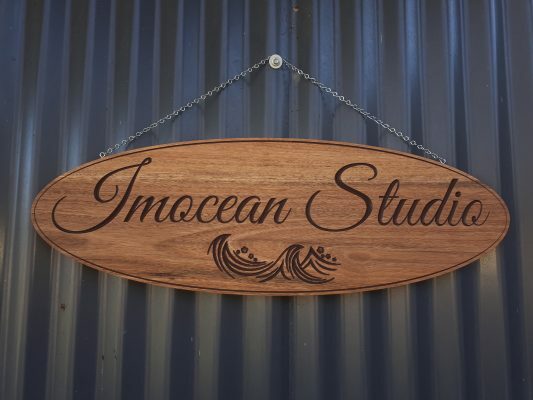 Our range of timber signs is handpicked for the Australian elements. 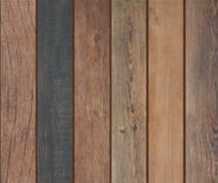 We offer dark, light and medium grain woods which combined with our finishes will last a lifetime. We take great care with our timber preparation and finishes so that the finished product will emphasize the natural qualities of the wood. 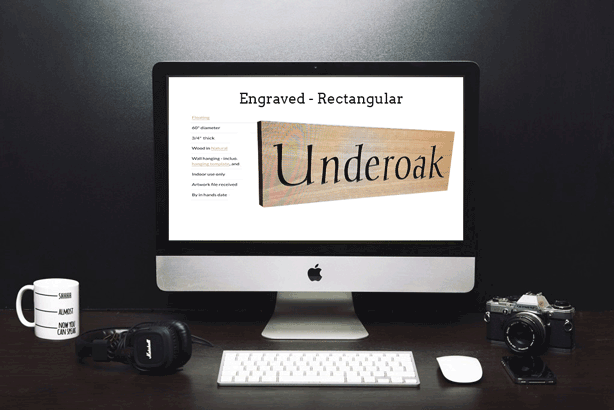 Our library of fonts include some of the most popular choices for signage text. However, we can use almost any fonts or images you choose. All you need to do is include your choice in the design form and we will send you a free sign mock up within 24 hours. Offering a range of colour options for lettering and images, further personalise your sign with colours that work for you. Some customers prefer the natural wood grain look. Whatever your choice we have a number of colour and finishing options in our custom design form to choose from. 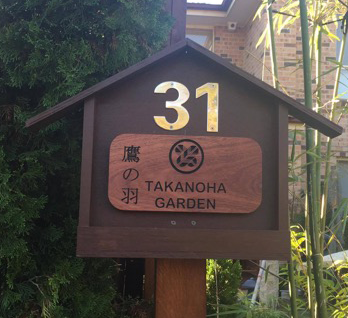 Property name signs, cottage signs, letter box numbers, house name plates, home décor signs & wall art, personalised home plaques – the design options are endless.